What was in the April 2018 box? The change from winter to spring is truly a time to LEVEL UP! With warmer weather comes new inspiration for our tribe and their businesses, and that’s why we’ve themed April as level up and gave our subscribers tools, office supplies, and training to do just that. Check it out! Online Training: Be A Business Badass by Emily D. Baker, Esq. ($197 value). Not everyone is a lawyer, but that doesn’t mean you can’t arm yourself with knowledge to protect yourself! Emily’s Business Badass legal business basics course helps our subscribers understand the legalities of owning a business as well as how to build a strong legal foundation as a business owner. Daring and Disruptive: Unleashing the Entrepreneur by Lisa Messenger ($16 value). 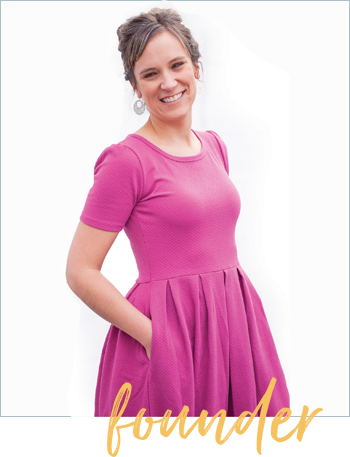 This daring CEO of Collective Hub takes readers on a her journey of success. Spoiler alert: Messenger makes it clear that it takes a lot of ups and downs to succeed! To succeed, we must stay true to ourselves and keep pushing through even when it seems impossible. We tend to think that the founder of one of the most popular magazines out there knows her stuff on this topic! 2 USB-Port Wall Charger by iHome ($19.99 value). Ever have that #firstworldproblem of looking for a place to charge two USB devices at once (or sharing outlets with your roomies, partner, or kids)? Not only is this dual charger colored pretty-in-rose-gold, but it’s also sleek and doesn’t hog multiple wall outlets. Plus, it’s universal among all tablets and smart phones! Wireless Mouse by Winx ($24.99 value). Nope, not your average boring black mouse. This mouse is a #levelup and is bost pastel pink and seafoam green. Also – there’s a forward/back button on the side (how cool is that?) – convenient! Battery powered and compatible with Windows, Mac, and Chrome operating systems. Gold Mega-Paperclips – 3 Pack ($3 value). Sometimes we just have so many receipts, good ideas on scattered pieces of paper, or stacks of checks to deposit that a small paper clip won’t cut it. These paperclips are perfect for all BIG successes and ideas! Oh, and they’re so shiny gold that we are sure our sparklers will never misplace them. Hustle Notepad by Wit and White ($10 value). Keeping a notepad near you at all times is a staple of being an entrepreneur – you have to make sure you have a place to write down all your good ideas! A little sass is a great thing, too – and this notepad dons the statement, “Instructions for use: Hustlers don’t need instructions.” #BOOM. Coconut Cashew Collagen Protein Bar by Primal Kitchen ($3 value). Does your snack curb hunger, strengthen hair/nails, and improve gut health? This one does, and it tastes amazing made with cashews, roasted pumpkin seeds, and coconut. It’s also free of some of the top allergens: gluten, grains, soy, dairy, and whey. #PaleoApproved and just three grams of sugar. During those late nights at their desks, our #tribe will have something great to snack on! 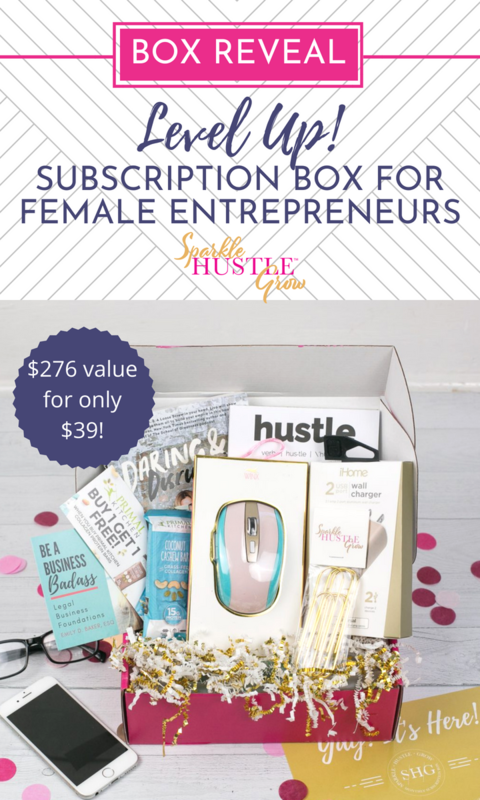 April’s box was a hit and it’s valued at $276.98 – whaaaat?! If you’re ready to join our tribe and receive some amazing training, personal development, support in our private Facebook group, and more – visit sparklehustlegrow.com today to subscribe! In other words, take your business to the next level.